Description: Bedrooms: Southwest-style office building in an excellent location in belen. 1,810 sq. Ft. With 4 large offices, a huge reception work room with lots of space for large furniture including desks, file cabinets, couches & chairs. Large storage and kitchen combination room and a bathroom. Lots of clear-story windows and skylights. Plenty of parking. Great highway 47 visibility. 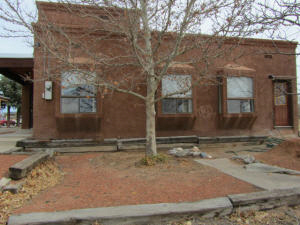 This space has been used since it was built as a real estate office and is perfectly suited for your business needs!